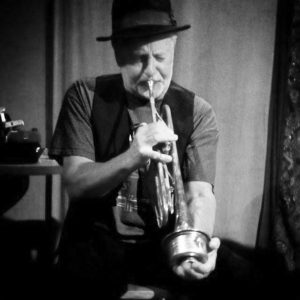 Born and raised in Coquille, OR, horn player Joe McCarthy moved to Portland in 1978 and brought his music to the masses. He recently answered some questions so our readers could learn more about him. Since 1967 when I played a Farfisa through a Leslie and sang. That was with my first band, Fairfax. So, about 50 years. Did you always want to perform professionally? My first thoughts about a lifelong profession were to play trumpet, organ and to sing. I retired from the Operating Engineers Union in 2014 after 43 years operating tower cranes and mobile cranes. I quit playing music for 20 years beginning in 1982 to concentrate on my marriage, help with raising our three children and to do the vigorous bill-paying which parenting entails. My wife, Patti, was a stay at home mom. I hooked back up with my music career in 2002. There was one AM radio station in our little hometown. My exposure to popular music stemmed from listening to KWRO before sunset every evening, when its license required it to go off the air. My grandmother was an excellent stride-piano player raised in San Francisco. She played organ at our church for 40 plus years. Grandma sparked my first interest in actually playing music, sitting me down and teaching me a few tunes. When I was 15 a neighbor lady gave me Dave Brubeck’s Take Five album which changed my life. Nothing like I had ever heard. She seemed to know I needed to listen to it. Rock and roll captured my interest in high school, but my lifelong tastes always lead me to beautiful jazz and funky blues/soul. Chet Baker, Sly Stone, Donny Hathaway, Louis Armstrong, Art Tatum, etc. have been my influences. My own music is felt first. It becomes broken down into alpha numeric form secondly, if it survives, that is. More often than not it evaporates as quickly as it comes. I have always been the victim of intuition, as memorizing and left-brained labeling don’t come natural to me. When fooling around, my default is to play chords on piano while inventing melodies on trumpet. It’s nice ‘owning’ the piano player so to speak, as I can be confident he will move through space with me to the next chord—not judging me for my ‘clams’. Trumpet is my primary instrument—the one I play ‘out’ most often. Piano, though, with its linear connection to melodies and chords is my go-to instrument of choice when I am chilling, or being creative. Voice is another matter—the way one can be so creative, turning lyrics into music. I love to sing. But there is demand for trumpet—it’s what makes my phone ring. Everybody has a voice, and Portland is loaded with excellent piano players. Only a few of us care to put in the time required to have trumpet chops. It’s going to the gym every day. Probably a good thing, but darn it. Did you have any formal training or self-taught? My grandmother, Minnie, taught me my first tune on piano at age six. I can still play it, but can’t recall its name. The second tune she showed me was “Irish Washerwoman”. We were a very Irish family. Mom took me to a couple of piano teachers. Mrs. Rover’s windowless studio was next to the hardware store where I sold chittum bark. She wore heavy wool coats on hot days. She didn’t want me upon noticing I did not stare at the sheet music. And I didn’t want her. So she referred Mom to Rosie Rash, another teacher. Rosie liked my playing, but didn’t feel like spending time with an independent. Same trouble: “Look at the MUSIC!” She gave me the boot, too. In Jr. HS I began to learn trumpet, took private lessons and took to being a player. When I reached HS my band director occasionally drove me to U of O in Eugene (quite a distance from our town) in order to take lessons from Ira Lee, director of bands. I will always be grateful to Mr. Hedeen for that. During my sophomore year I started a rock band. By graduation time (1969) we were used to getting out of school most Friday afternoons to make it to a gig in the Willamette Valley or the likes. I loved it. But, the war was on. High school graduates’ options were 1) go to Vietnam, or 2) enroll in college. Fairfax (my band) enrolled full-time at SWOCC, a 2-year community college in North Bend. Probably not what the draft board had in mind, though. College was a dream come true. We had two Cadillacs, a Dodge, numerous friends and a ton of gigs, mostly around UO/OSU, on the coast, the Salem Armory, community buildings, grange halls, etc. We shared billing with some good bands of the era: the Grass Roots, Animals, Marilee Rush and the Turnabouts, the Wailers, the Zombies, etc. As a junior, I attended SOC in Ashland. Music majors have but one use for their diploma—being a band director. Not in a million years. As soon as my draft card number rendered me safe from the lottery I dropped out. To make ends meet I commercial fished, fell timber ran heavy equipment, etc. while continuing to play music. In high school band I won local solo contests (trumpet), and went on to represent the south coast at “state” three years. Sophomore year I made it to fourth place. Then second place my junior year, and first place as a senior. Also, I won first-chair trumpet position auditioning for the 7-state honor band “All Northwest Band”. Being from a small town, I had never heard a symphonic band prior to our rehearsals, so being “inside” that amazing group when we performed at McArthur Court (U of O) was mind opening. I almost wanted to just listen instead of play. What CD’s do you have out? I played trumpet on a few albums in the 1970’s as sideman. A couple of bands from Idaho and one from Eugene. I have no records or CD’s of my own. Some artists who’s CDs I have arranged horns and/or played on more recently include: Paul DeLay, Duffy Bishop, Bonepickers, Michael Osborn, Jon Koonce, Barbara Healy, DK Stewart, Lisa Mann, “Tell Mama” Etta tribute, Rae Gordon, Dub Debrie, Franco Paletta, Kevin Selfe, Karen Lovely, Tracy Fortis, and Paul Jones. Your bandmembers—what instruments do they play? My band, The Joe McCarthy Group, is a quartet formed in early 2016 to study and perform tunes across varying genres, primarily blues and jazz. The band: Joe McCarthy, trumpet/keys/vocals; Mark Shark, guitar/vocals; Scott White, upright and electric bass/vocals; and Fred Ingram, drums. Material is chosen based on its appeal to the group’s members. Folks will be exposed to music they may, or may not be familiar with when they catch one of our shows. The ‘book’ is continually growing, including numbers by Hoagie Carmichael, Leon Russell, Nat Cole, Grant Green, B. B. King, Louis Armstrong, Les McCann, Robben Ford, Kenny Burrell, Neil Larsen, Freddie Hubbard, Johnny Cash, Taj Mahal, Jim Pepper, Dan Hicks, Etta James and others. In the 1970’s my introduction to blues came through arranging horns for and playing with the Nighthawks, a Eugene band which included Curtis Salgado, Dave (DK) Stewart, David Olsen, Jim Cochran and Ritch Kesey. It was formative for me to also play shows with the “Crayhawks” and the Robert Cray Band once I moved to Portland. My role in the Portland music business is playing trumpet as a sideman, writing horn arrangements, recording and performing with various bands, but improvisation is what brings me the most satisfaction and excitement in music. Also, I can’t recall having more fun than singing harmony with Duffy Bishop on her CD, Find Your Way Home. Joe can be seen about town and listening to him and his band is quite entertaining. 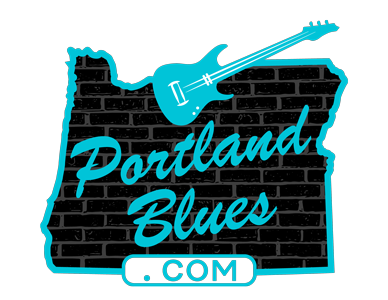 Keep an eye out in the BluesNotes calendar for upcoming shows.